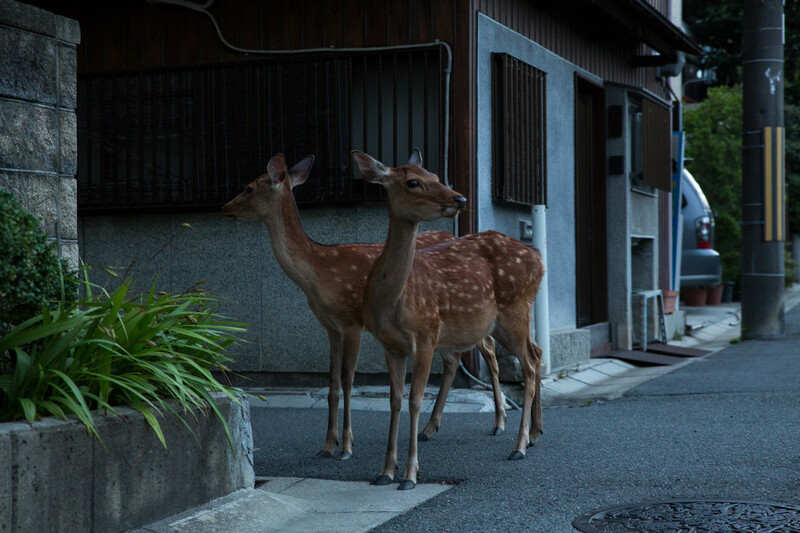 -Diary of a Japanese nobleman, 1177 A.D.
Every day in Nara, Japan, thousands of Sika deer emerge from the forest and stroll through the city in the early morning light. They poke their heads into public restrooms, and settle onto their haunches in teahouses that have not yet opened. 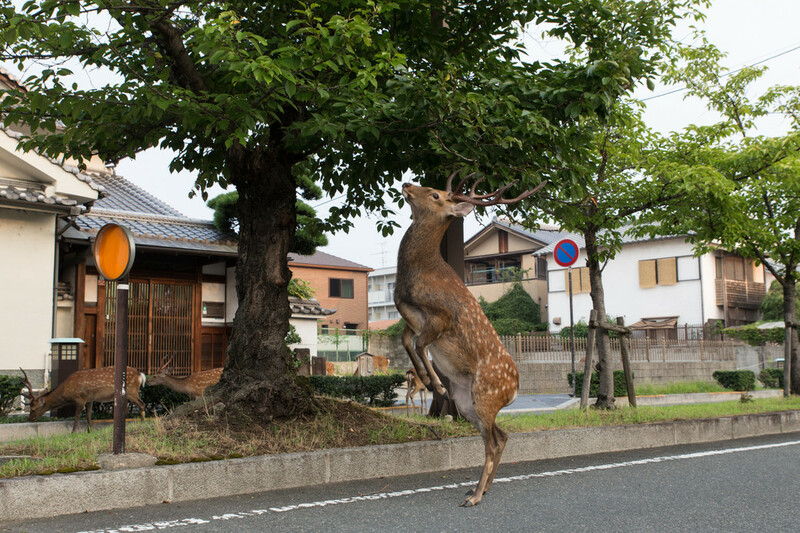 Later in the day the Sika deer (Cervus nippon) will share the streets and greenswards with remarkably tolerant humans. Rather than round up or scare off these entitled visitors, the people will feed them. The teahouse owners will even sweep up their droppings. Clearly, the ancient city has a special relationship with this gentle species. The story begins with the building of the Kasuga shrine in the 8th century, when Nara was Japan’s capital. One of the deities to be worshipped there, the legend goes, arrived from the faraway northeast astride a white deer. 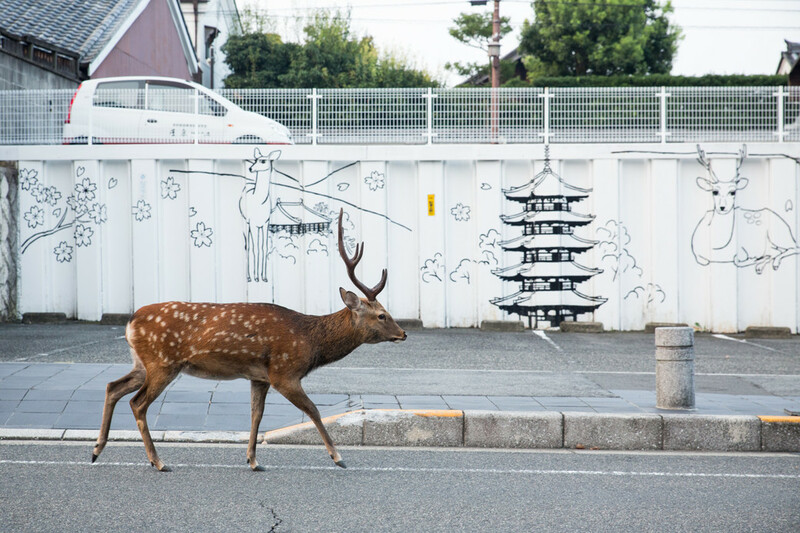 Later chroniclers concluded from this detail that the animal was sacred; during the Shinto-Buddhist revival of the medieval period, deer appeared in countless mandala paintings that were created at Kasuga, and temple officials fiercely protected them. 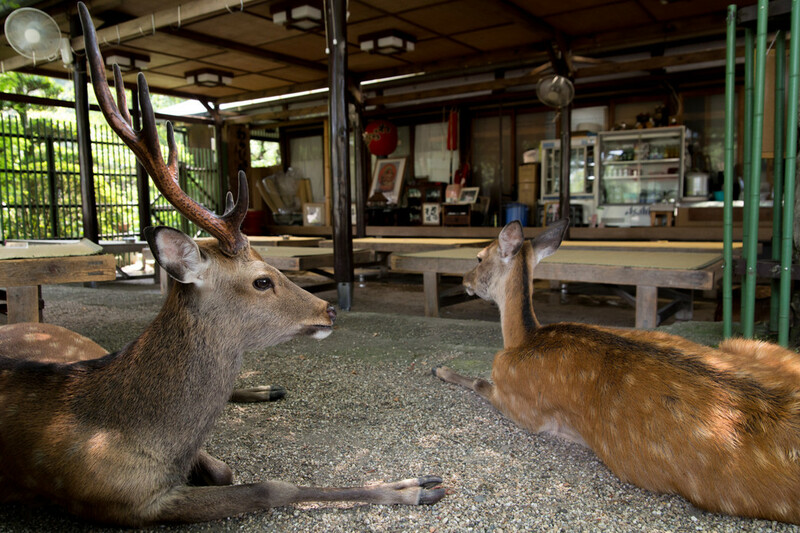 Up until the 19th century, anyone found guilty of killing a Nara deer faced execution. 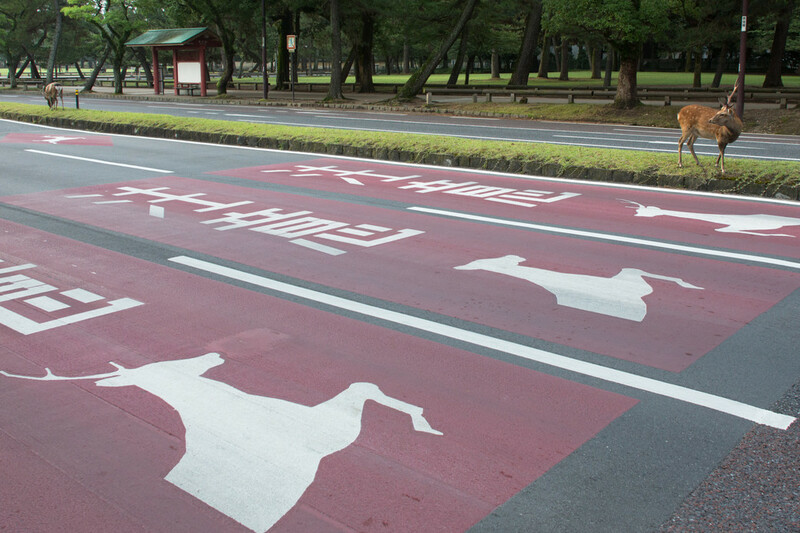 That’s hardly the case these days, when 100 or so Nara deer die every year in traffic accidents. But their numbers are healthy—there are more than 1,000 of them. How many of the city’s 400,000 residents still consider these animals to be messengers of god? Not a majority, most likely. On the national stage especially, though, their cultural value is pretty well cemented. They have benefited from official protected status since 1957. 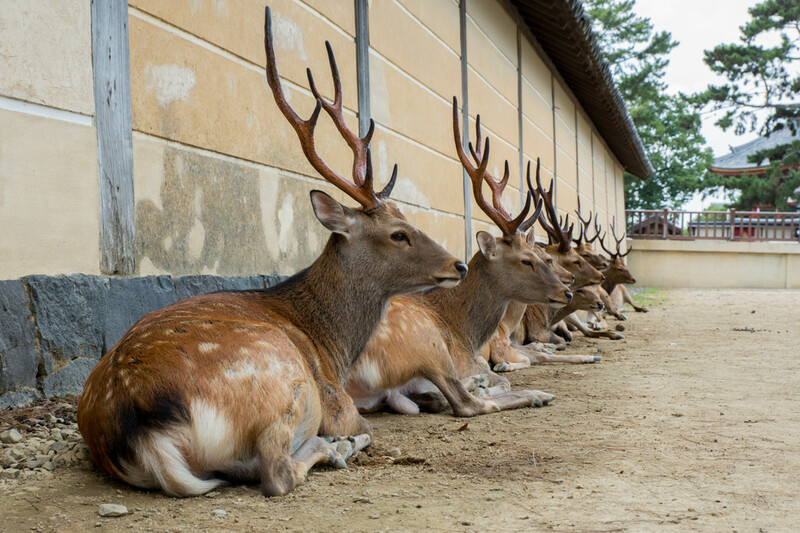 Centuries ago, it was considered a minor miracle to see a deer in Nara. The animals were wilder than they are now, and kept their distance. (They only started appearing in the streets during the Meiji period, in the late 19th century.) 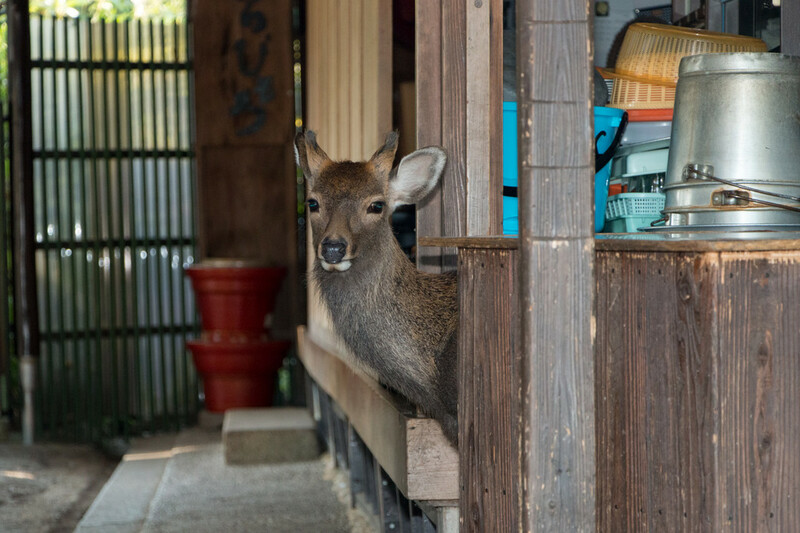 Now, an encounter requires no serendipity, only a packet of the rice biscuits that are made especially for the deer and sold everywhere in Nara. 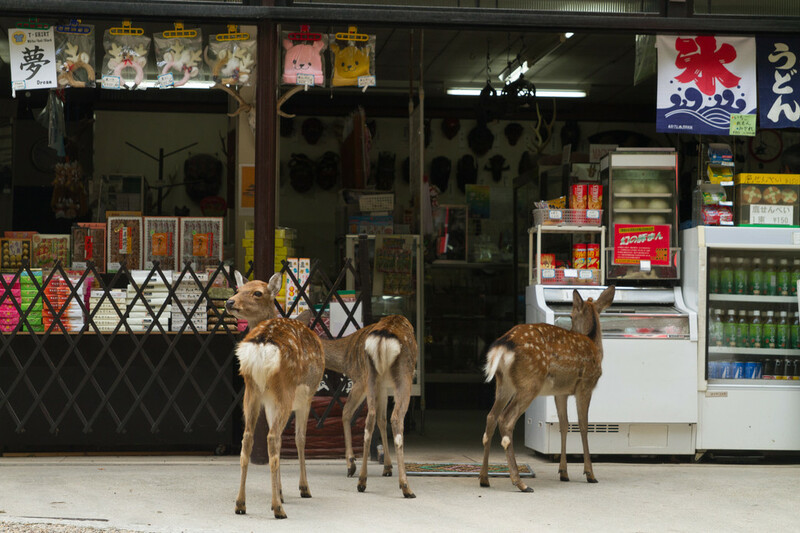 They are called shika senbei, and the deer—especially males during the fall rut—can get pushy around them. Graphic signs alert visitors to their butting, kicking, and other aggressions. This raises a point. 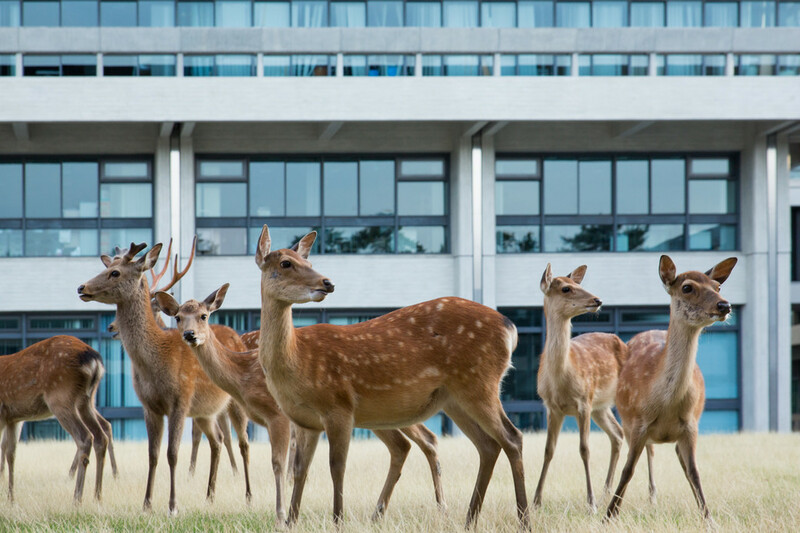 Yes, the deer help keep the grass short, and the city recycles their leavings as fertilizer. But by typical modern standards, a leaf-chewing species as prevalent and unmanaged as this one would be deemed a nuisance. What is at work here? An alien calculation—or non-calculation, perhaps; a flame of ancient Shinto sensibility still burning inside two-door sedans and glass-and-concrete office parks. And a link to the classical poets who saw natural rhythms in the seasonal molting and reforming of the stag’s antlers, and who found it worthwhile to read sadness into their mating calls or contemplate the coarsening and graying of their white-spotted coat as winter neared. 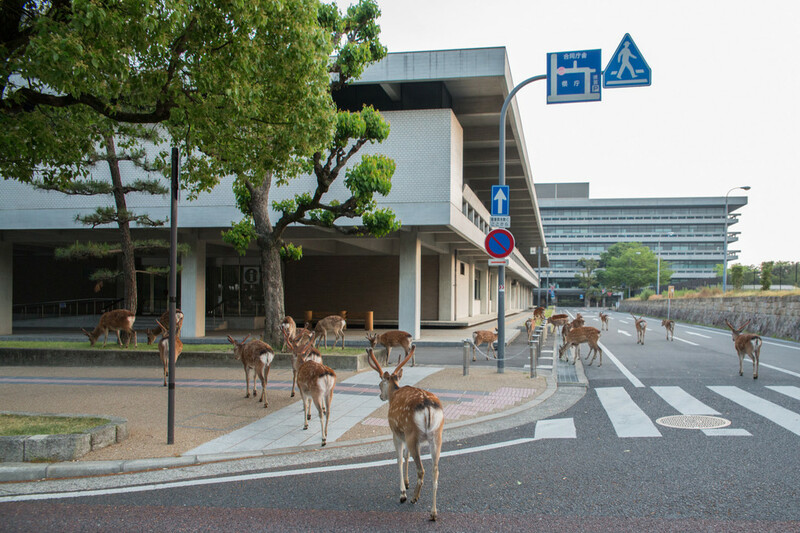 Admittedly, that contemplation is easier nowadays at first light, when the deer sweep in surreal fashion over empty sidewalks. By midday, the tourists are feeding them from vending machines. Even in this interaction, though, something of—and maybe even, in some ways, beyond—the original connection remains. 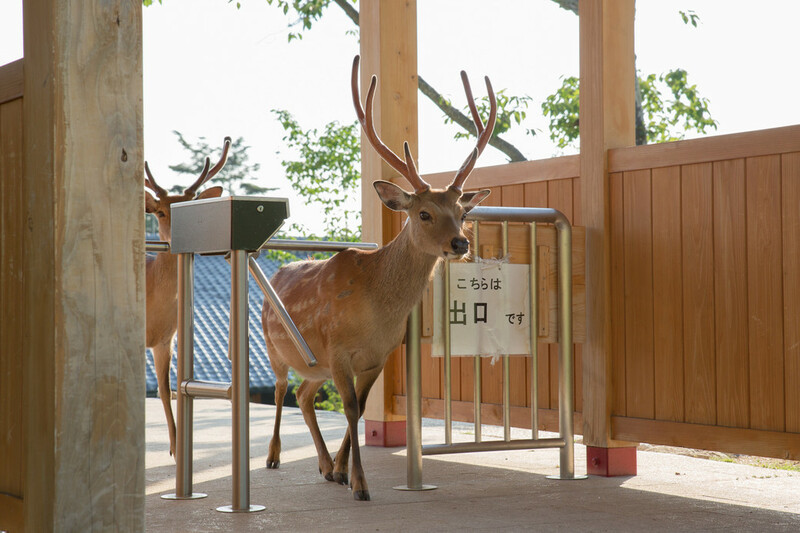 Accustomed to receiving a bow from those who offer them food, many of the Nara deer now duck their heads upon getting a handout. In other words, they bow back. 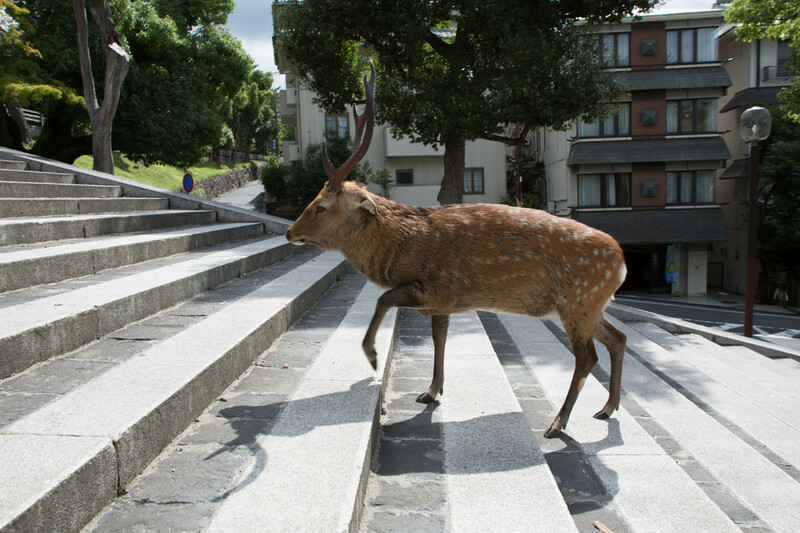 For more, see Yoko Ishii, Dear Deer (Tokyo: Little More, 2015). These photos are used with permission.